If you want to stay cosy this winter, then you should be looking at Brockway for your next carpet. Why? Well, because they create their carpets from the finest wools, you can be sure they will bring you genuine warmth underfoot. Plus, with an array of styles, textures and colours their collections bring you a choice of delightful variations to warm up your home. Furthermore, in addition to making your home warmer, Brockway carpets will also make your home quieter. So they are ideal for reducing the noise of Christmas parties and family festivities at this time of year. For real warmth underfoot you cannot beat wool. 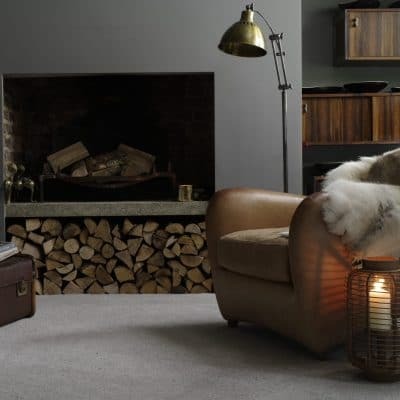 We all feel the cold during our British winters, so why not choose a carpet to keep you warm? Brockway has been producing the most exquisite wool carpets for generations. So, that is why they offer the best wool range in all the latest colours and styles. If you want to see these stunning styles for yourself, get in touch. Brockway’s range includes everything from Natural Tweed, or Rare Breeds Elite through to modern Solar Stripe. Or, for something bright and very British what about their Union Jack inspired statement range Carnaby. If you want something a little more sophisticated, then check out their Italian Riveria inspired Portofino range or their luxurious Galloway range. Alternatively, if you’re going to bring a touch of on-trend coastal to your home, then you must check out their Padstow or even Beachcomber ranges. Why not get in touch and arrange to see some samples for yourself? There are many more ranges created by this carpet wool-master. So, let us bring them to you, or you could pop into our showroom in Barnsley to see them. It’s not just their wools that make Brockway great; it’s the fact that they make all of their carpets here in England. Based in Kidderminster since 1964, they are a family-run business who combine generations of British craftsmanship with the latest environmentally-aware technology to create innovative and beautiful carpets. Plus, they only use the finest raw materials. So you can be confident that your carpet will be of the highest standard to last the test of time. As Brockway make their carpets in England, we can have yours delivered the week after your order. And, with our large team of professional carpet fitters at Floormaster, we can have your new carpet fitted as soon as it arrives. Furthermore, our extra helpful fitting team will uplift and dispose of your old flooring and move any furniture as part of the service. Plus if any doors need altering, we will help with that too. Nothing is too much trouble for us to ensure that your new Brockway carpet looks perfect! Get in touch today below and start your walk on warmth!